What Trump’s Executive Order Imposing Travel Ban on 7 Countries would Mean for Green Card Holders? Donald Trump, the 45th President of the United States of America has passed an executive order imposing blanket immigration bans and travel restrictions on visa holders from 7 countries for a period of 90 days initially. It also bans all refugees for the next 120 days and Syrian refugees for an indefinite period. The countries included in the list are Syria, Yemen, Iran, Iraq, Somalia, Sudan and Libya. The executive order signed recently by the new president aims to counter the growing menace of terrorism exported from abroad. These 7 countries had been put under a separate list called “Countries of Concern” under the previous administration. However, the previous list had a much more limited scope and merely intended to make foreigners traveling under ‘visa-waiver’- a provision which exempted them for applying and qualifying for a valid U.S. visa before entering the country, apply for a visa if they had traveled to one of the 7 above-mentioned countries on or after March 1, 2011. However, it didn’t include all visa holders, green card holders, and dual citizens. In fact, dual citizens could travel on visa waiver provisions, provided they had not traveled to one of the 7 countries under the scanner, within the specified period. The executive order titled “Protecting the Nation from Terrorist Attacks by Foreign Nationals” will now jeopardize the lives of all these people and a number of legal provisions of the order has already been challenged and have come under the scanner. The fate of those already in the United States of America on valid visas or transiting through the country was not immediately clear. A federal judge from New York blocked certain provisions of the executive order temporarily till it became clear what was to be done with those detained on once-valid visas at airports and seaports in the country. 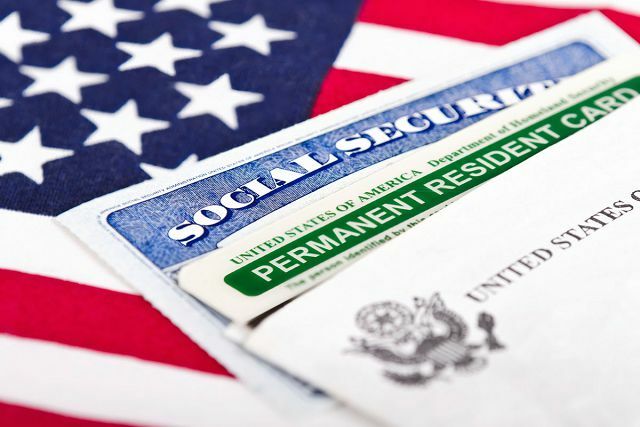 Will this order affect green card holders? Although initially there was confusion with the President saying once that green-card holders from the 7 countries would meet fate similar to all other compatriots meaning they too would be banned for the next 90 days from the day the order came into effect, he later clarified that green-card holders won’t be affected by the order. Officials from the U.S. Department of Homeland Security have said that green-card holders won’t be stopped from boarding flights back to U.S. They may, however, have to pass through some additional secondary screenings from which they were earlier exempted. There is still confusion regarding this aspect although there has been confirmation that up to 500,000 green-card holders initially thought to have been affected by the ban, will be safe and are free to move in and out of the country. The dual- citizens can also continue to travel although whether the travel waiver still applied is unclear.